Do you believe in magic? No, we aren’t talking about your favourite “Harry Potter” film, we’re, of course, talking about GE Induction Cooktops. 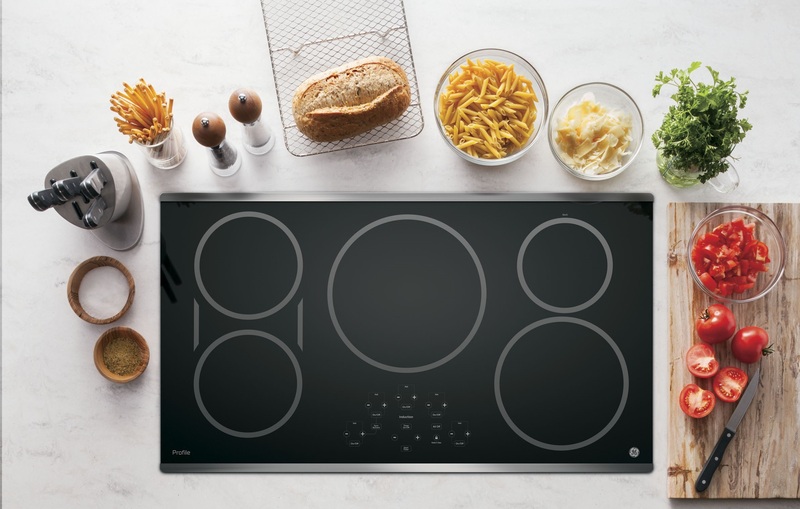 Through the power of induction, these cooktops offer state-of-the-art cooking technology – combined with stylish designs – that will easily elevate your cooking into magical territory. But how does an induction cooktop work? What does it do? And how can it change your kitchen and cooking, for the better, forever? Let’s dive behind the scenes and take a look! Time for a little science lesson. Again, while induction might seem like a mystic art, it’s actually powered by magnets. The cooking elements produce a magnetic field. And when you place a metal pan – of the correct size and type of metal – on it, the electrons in the pan will vibrate and make heat. See, it’s science, not magic! As for the cooking surface itself? It doesn’t make the heat. It all happens in the pan, and the element can’t function without the pan there. 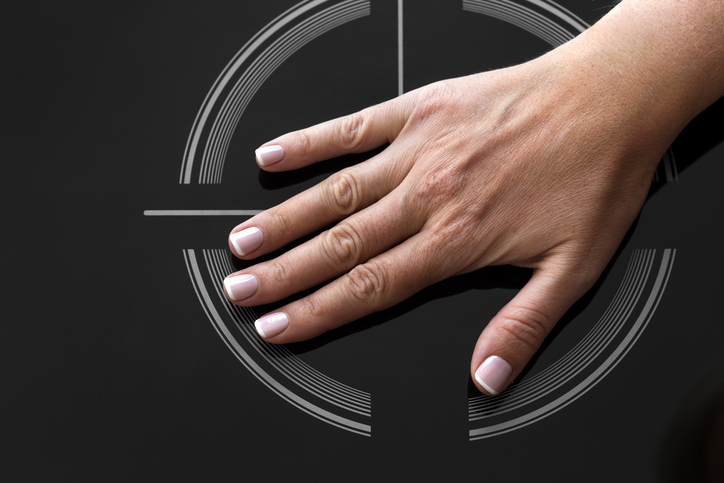 GE Induction Cooktops have not one, not two, but five different induction cooking elements. What this means is that you have five different surfaces that are safer to use and touch – given they don’t heat without the pan – and that you’ll be able to easily clean. Each element has individual timers, so if you love making complex multi-course meals, or just want to cook five different pots of macaroni and cheese at the same time, GE has you covered. The cooktops also have pan removal detection, so your cooktop will know when you’ve removed a pan and turn the burner level off accordingly. 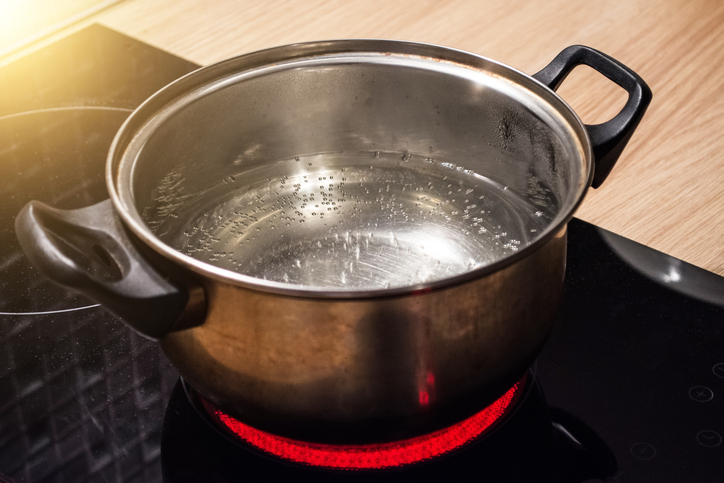 On traditional stovetops, controlling heat can be tricky, especially on cooktops and stoves that don’t have precise heating control. That’s not the case here, though. GE Induction Cooktops have a melt setting, which allows you to heat up delicate foods without having them burn or get scorched. If you ask us, it’s a melt made in heaven. Old, analogue methods of controlling cooktops are so 1990-late. GE cooktops have electronic controls that let you manage how hot each element is getting, all with an easy swipe. That’s right, touch control just came to your cooktop, and you’ll never want to go back to old-fashioned knobs and buttons again. Let’s take a second and be honest: Life is busy, and sometimes there just isn’t time left in a day to wait for water to boil. Well, GE Induction Cooktops have a solution for that, too. With an 11” 3700W heating element – GE’s most powerful induction element — these cooktops were made to bring water to a boil before the pot even knows what hit it.